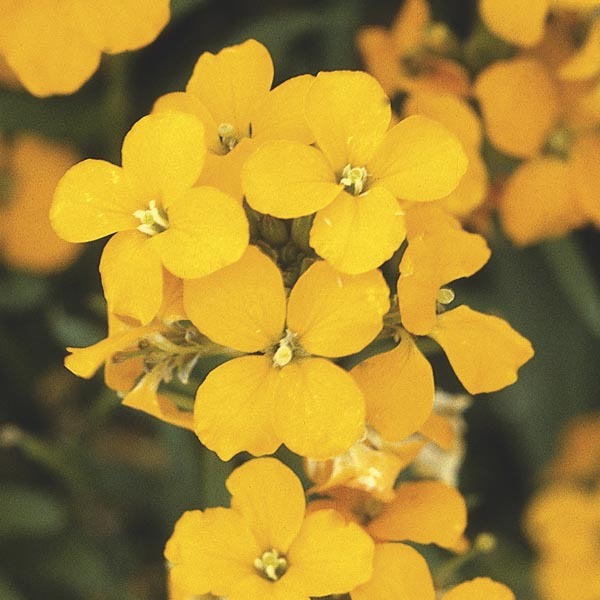 The deliciously fragrant, sunny blooms of Erysimum x allionii (AKA Cheiranthus x allionii) continue deeper into the summer than other Erysimum. A good clipping after bloom and dry toes in winter are all it takes to bring out the best in Erysimum. For best results, plant in slightly alkaline, fertile but well-drained soil. Tolerates drought, but looks best with regular watering. Trim back lightly after flowering.